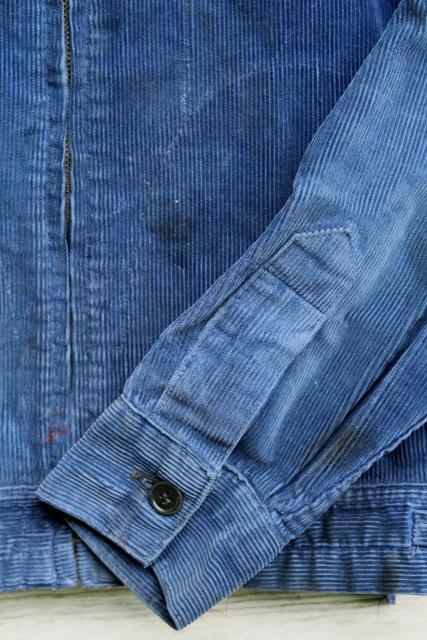 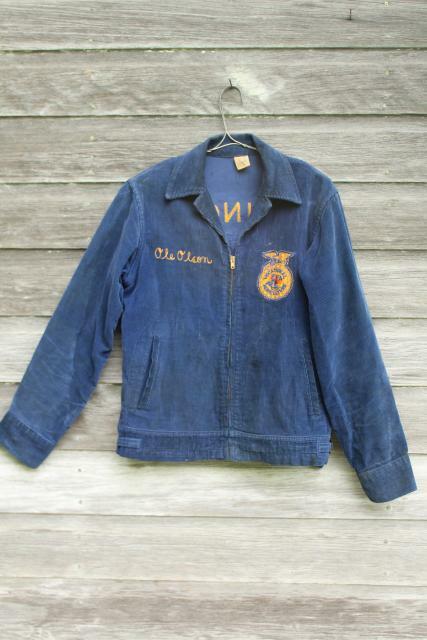 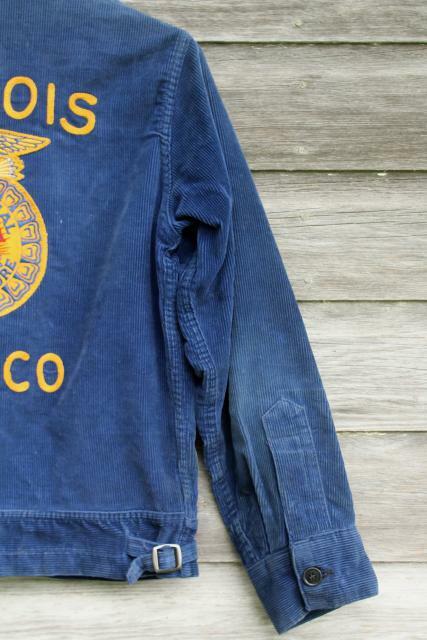 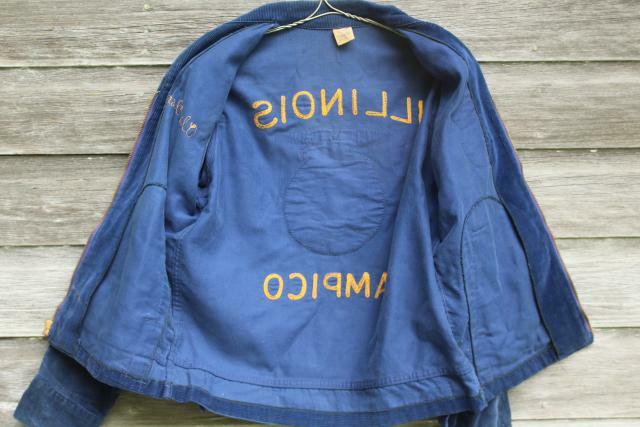 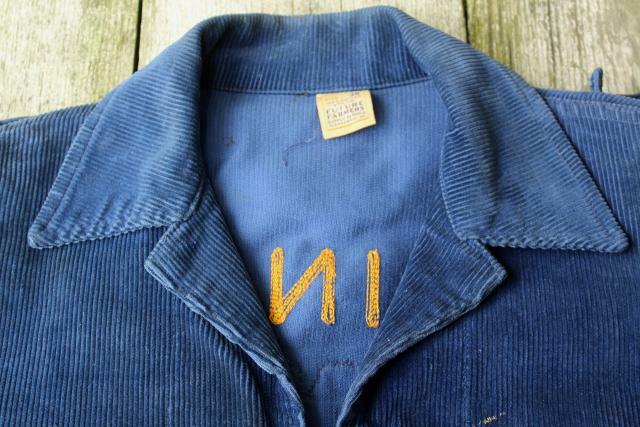 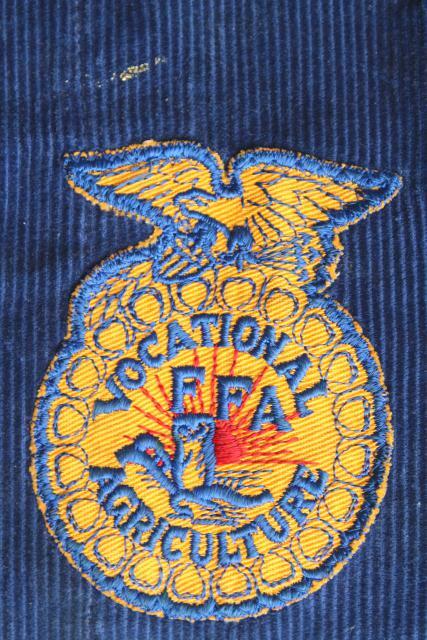 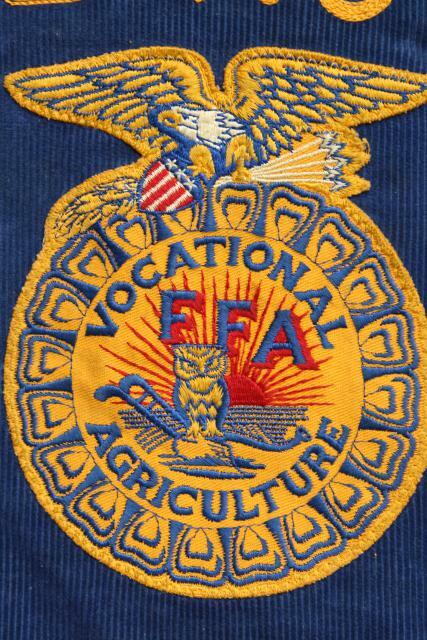 Vintage cotton corduroy 'letter jacket' with Future Farmers of America logo patch on the back. 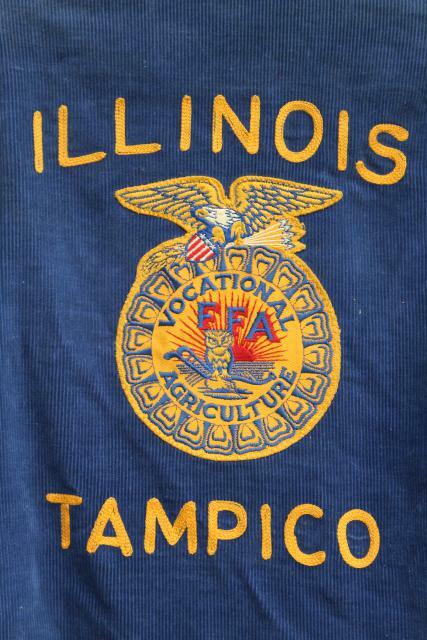 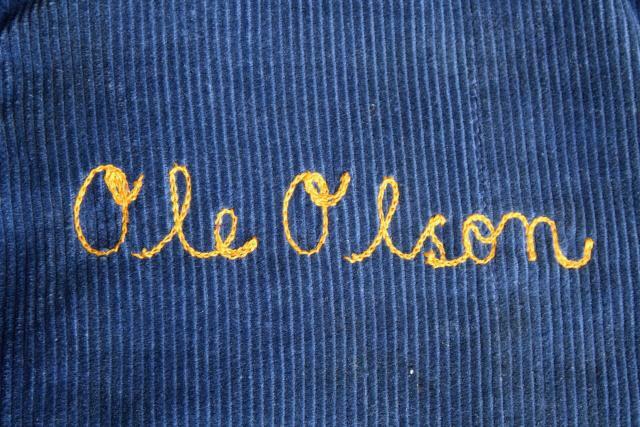 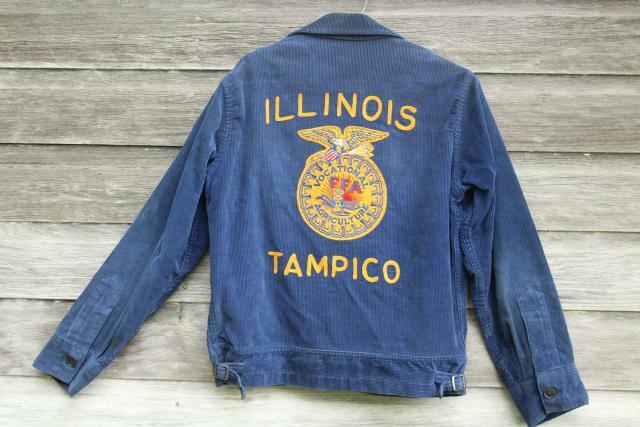 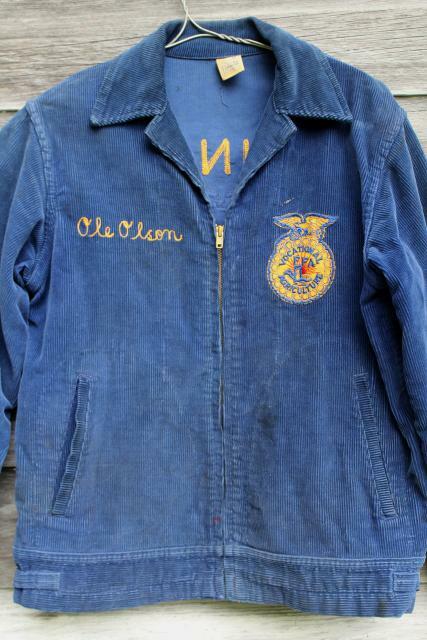 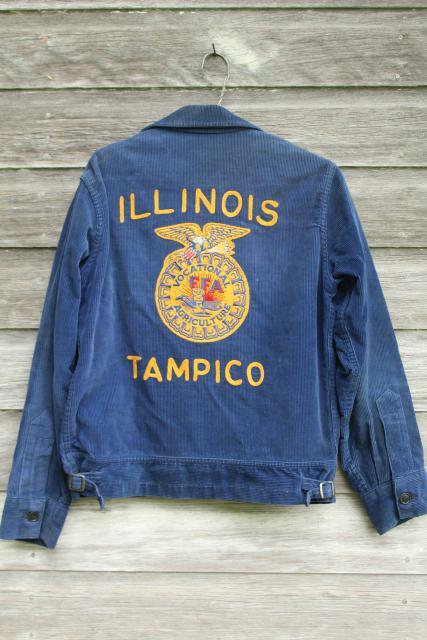 This is embroidered Tampico Illinois, with Ole Olson embroidered on the front. 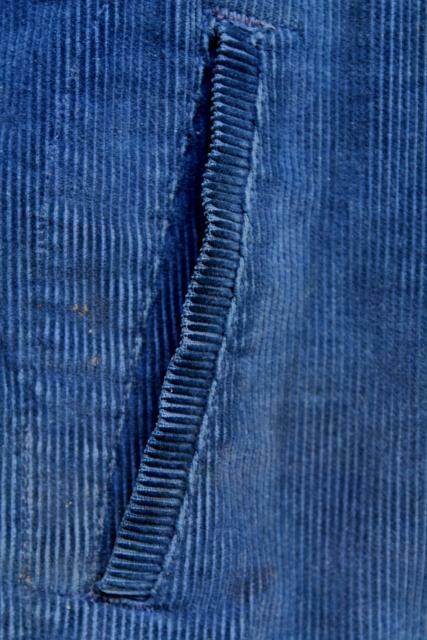 It's been very carefully kept, and is clean and sharp, no visible wear or damage, only a few small spots and some light surface soil. 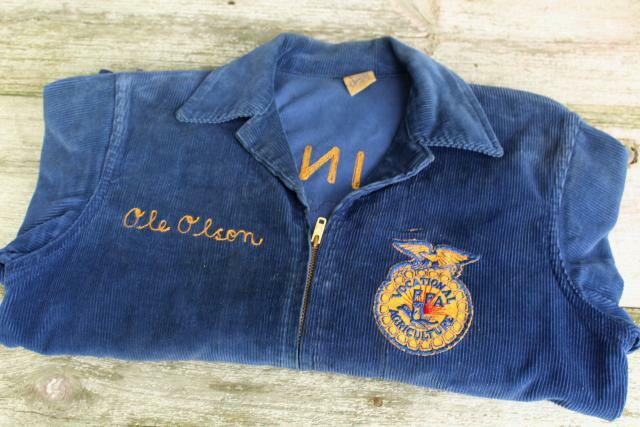 We've been told this is early - mid 1960s vintage, though it looks as though the FFA emblem is probably 50s, based on our research. 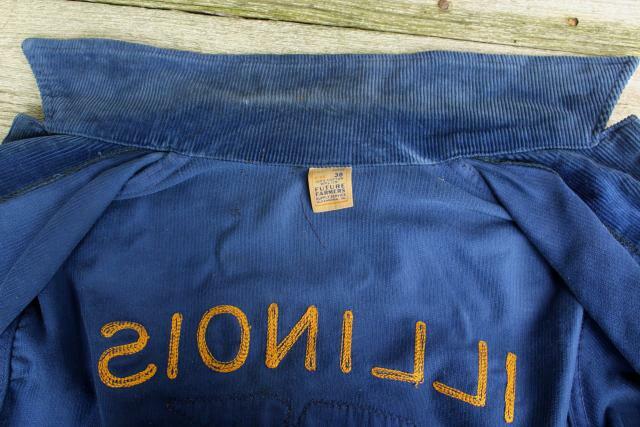 It's a great mid-century piece! 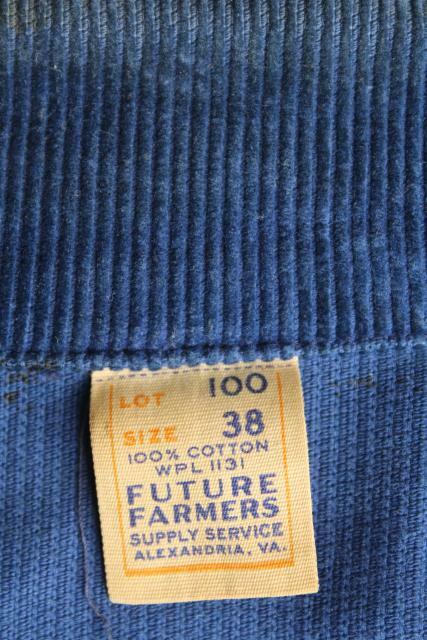 The size tag is marked 38, this is not very big. 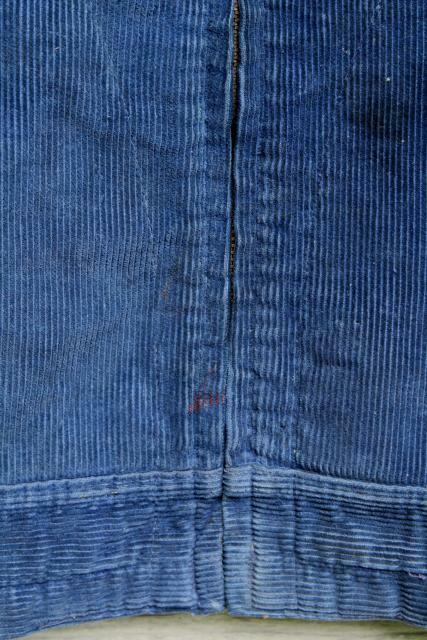 It has no stretch, so please, check measurements closely if you're planning to wear this! 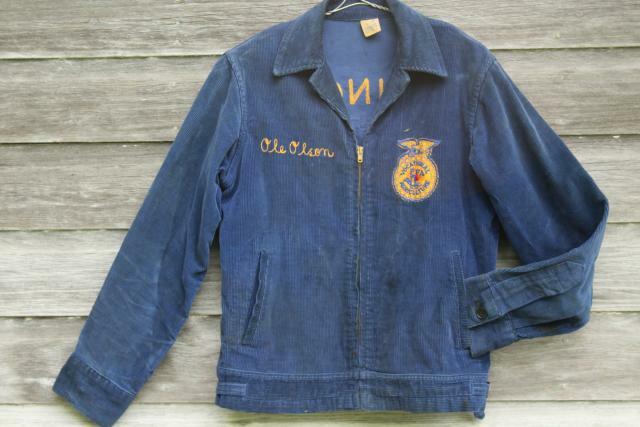 Garment measurements are 40" at the chest, 19 1/2" sleeve length under the arm, 22 1/2" from the shoulder straight down to the bottom of the jacket at the waist.